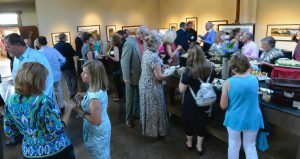 Center for the Arts Evergreen’s big gala event to raise funds for our new building was held Saturday evening, June 18th. 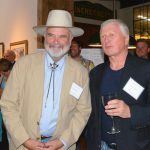 The evening was centered around the generous donation of beautiful watercolor of the continental divide by renown artist William Matthews. 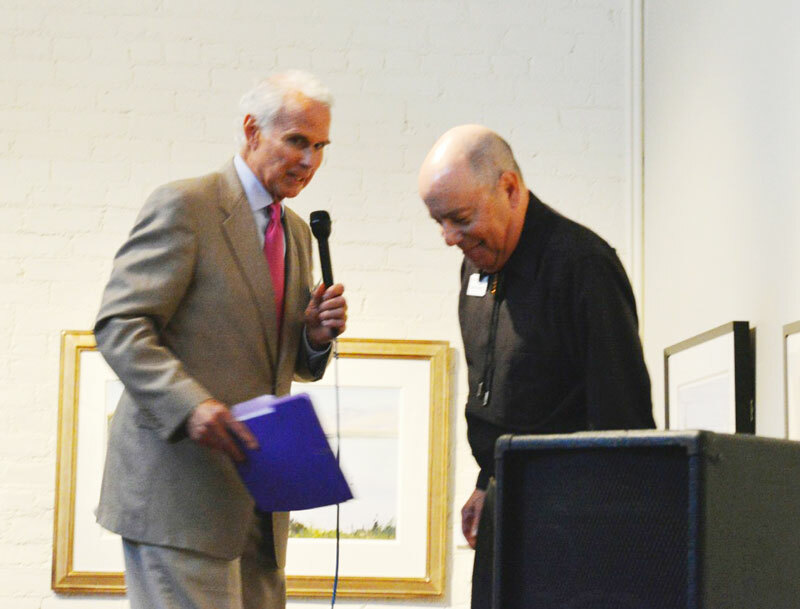 Mr. Matthews not only provided the painting, but opened up his RiNo gallery “Great Basin Studio” to the well attended event. 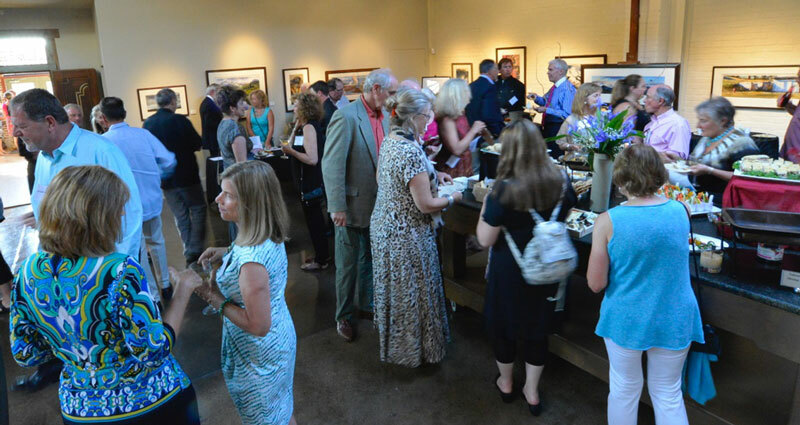 The fine art was complemented by Evergreen Chamber Orchestra’s string quartet entertaining guests while beverages and appetizers, generously catered by JKS Culinary, were enjoyed by all. Matthews’ gallery was a prefect venue for the benefit to be held, with lots of space for music, art viewing, eating and drinking, as well as a stage and seating. 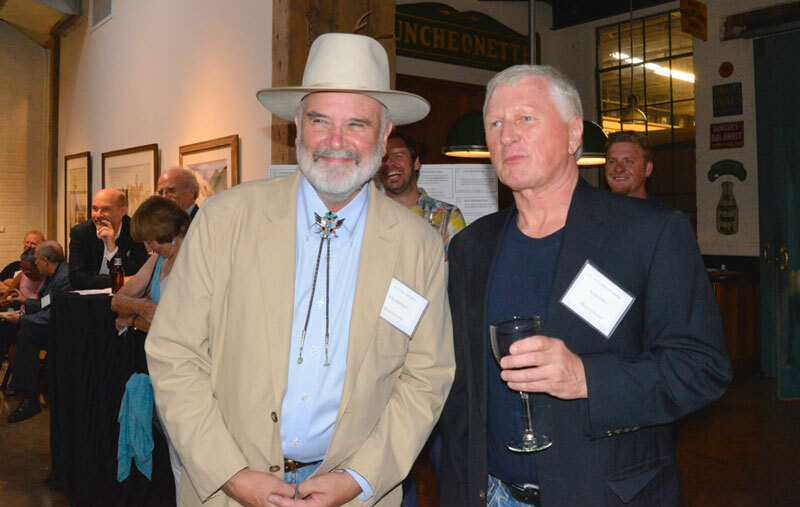 While a silent auction was held for the purchase of Matthews’ painting, attendees were also invited to bid on a variety of additional donated items including dinners, fine art, and jewelry. Willy Matthews kicked off the presentation portion of the event by regaling the crowd with stories of his time spent living in Evergreen and the real value he sees from building such a valuable community resource. 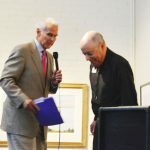 Then, topping off the evening, Gregg Dobbs, a long-time Evergreen resident and world-wide famous veteran TV journalist, acted as master of ceremony and auctioneer. Mr. Dobbs entranced the attendees and encouraged an unprecedented level of contributions towards all the various components of this project.